Patersons apply for Overburns quarry...again? The second quarry application from Patersons has formally been registered at South Lanarkshire Council today 7/7/11. The details of application CL/11/0305 for 'Phased extraction of sand and gravel by quarrying methods, erection of associated plant site, access road with ancillary works to the A702' can be found by clicking HERE. To OBJECT to this application click HERE. "I simply cannot see how submitting what seems to be the same application can even be allowed in planning terms. "However the application is presented, it cannot be denied that the purpose would be to extract huge amounts of gravel over an extended period of time. "That can only be detrimental to the local environment and I can only hope that the council comes to the same conclusion as before and refuses the application again." 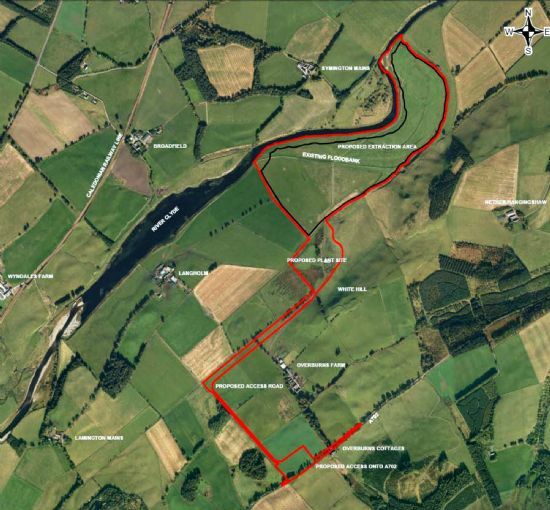 As of 1st July 2011, South Lanarkshire Council (SLC) received a SECOND application CL/11/X0347/NEW from Patersons seeking permission to create an open cast site for ‘the phased extraction of sand and gravel and establishment of associated plant site, access road and new site access with ancillary works to the A702 trunk road’ at Overburns Farm, Lamington…the first was rejected by the Council last year. 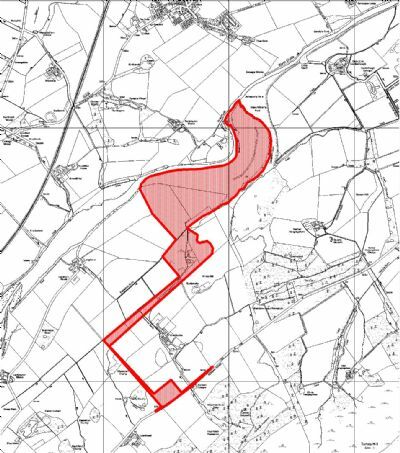 On Friday 21st January 2011, Patersons of Greenoakhill presented an application notice CL/11/X0020/NEW for Overburns Farm, Lamington, ML12 6HP, with the planning department of South Lanarkshire Council. This notice is for a 'Detailed planning application for the phased extraction of sand and gravel and associated infrastructure (major development)'.